With our in-house galvanizing and our extremely efficient roll-threading capabilities, Portland Bolt is an excellent option for projects in the marine industry. A recent project all the way over in Panama showed just how proficient we can be on marine projects, regardless of the project location. 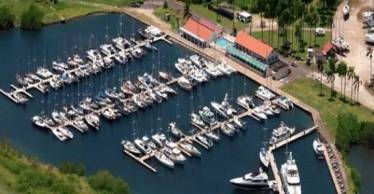 Shelter Bay Marina, located at the Caribbean entrance to the Panama Canal, was the location for a recent large construction project. The project has been in process for some time. In February of 2010, we supplied some custom galvanized hex bolts for the marina construction. More recently, in December of 2012, we shipped 9,000 pounds of galvanized custom float rods and other hardware, including hex bolts, carriage bolts, and plate washers. This project exemplifies both Portland Bolt’s ability to ship our products all over the world, as well as our strength in supplying to the marine industry.